With War for the Planet of the Apes getting ready to shred screens soon (that hotly anticipated 2nd sequel opens on July 14th), we thought it a good time to drag up from the primordial swamp the relatively unloved “missing link” of the cinematic Planet of the Apes universe: director Tim Burton’s 2001 action/fantasy Planet of the Apes. 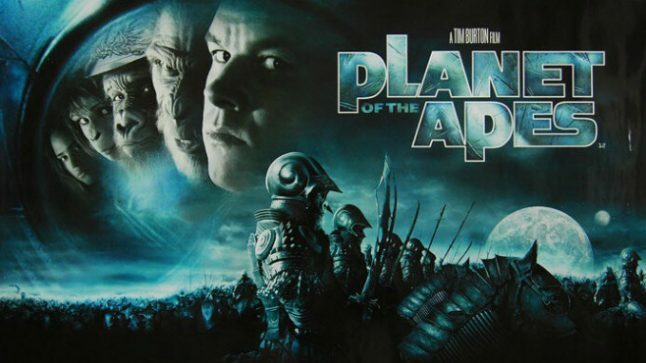 Although financially successful upon release and well-reviewed in some circles (lambasted in others), Burton’s expensive bauble of an Apes movie was derided by purists who hold the original five Planet of the Apes films in such high regard. And those films deserve adoration, of course. Especially the 1968 original which set new standards for combining blockbuster Hollywood filmmaking with deep, dark, “thinking man’s” science fiction, co-penned as it was by the father of The Twilight Zone, Rod Serling. Indeed, the passion for Planet of the Apes and the pop culture wave it spawned was so deep that Burton — a gun for hire on this project — didn’t have a chance, especially when the product he delivered was this odd and irreverent to its source. Originally, Burton wanted to call this movie The Visitor, announcing it as a new series spawned from the same source novel, Pierre Boulle’s Monkey Planet. 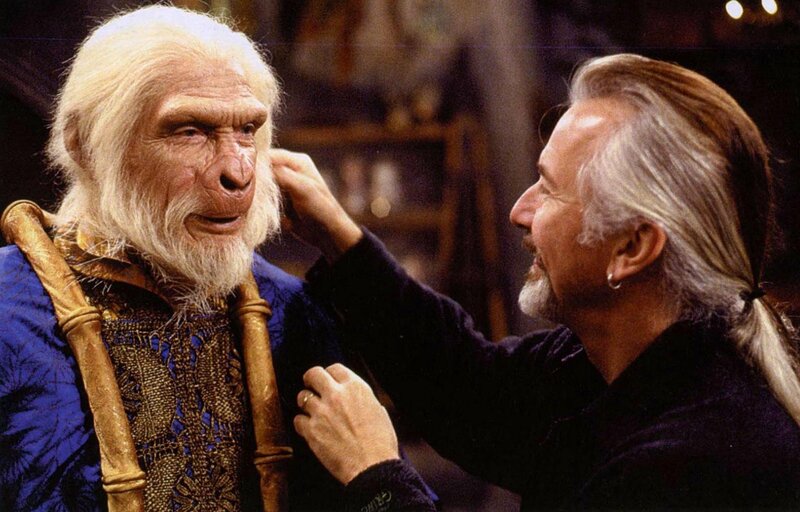 But 20th Century Fox balked and the film was put out as a “new” Planet of the Apes. The biggest problems with POTA 2001 are in the casting of a stiff-as-starch Mark Wahlberg as the hero (he’s not terrible, just… totally blank), a poor substitute for the macho intellectualism of Charlton Heston in the original. Then there was the foolish concept to make the humans both clean and intelligent and articulate, throwing the “man is a dumb animal” dynamic that made the 1968 film so potent, right out the window. And the overt humor of the piece was perhaps too broad, turning many fans off. But man, there’s SO much to love about Burton’s Planet of the Apes and we’ve isolated 10 of our favorite elements in the gallery and YouTube clip below. See if you agree with us.